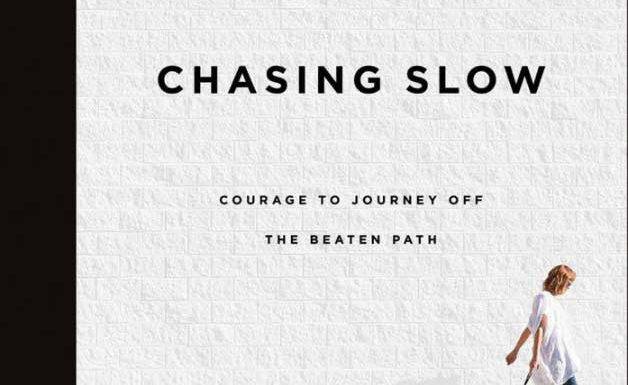 I recently finished the book, Chasing Slow, by Erin Loechner. Thoughts of taming lions and running a race were rampant throughout her story. I enjoyed the read and I think you might too. The book is somewhere in between a memior, how-to guide and a lecture series. It’s not easy to describe what it is, but I could share what I liked about it and some of my takeaways. I offer that to you below. I loved Erin’s use of details and willingness to be vulnerable in her writing. She captured moments with such detail, you could imagine yourself right there with her. She shared her thoughts and feelings so openly. Reading the book made me feel like I was sitting across from a friend telling me her story. We need to be aware of the lion inside each of us. The lion inside is not going away. It is a part of us. I can try to run away from it. I can try to tame it. But ultimately, this lion is not for us to control or escape. What we need to do is understand it, become aware of it. There are things about myself that I wish were better. Some might call them weaknesses per se. And they are part of who I am. There is a necessity for each part. I can’t wish away the parts of me I don’t like. They are part of the sum of me. What I can do is learn from them, accept them, be aware of me. Through awareness, not denial, I am free to choose my point of focus. Pursuits without grace are endless quests for perfection. With grace, I can lower the noise around me and get clear. I believe this is what we all want. The race is not about getting ahead or falling behind. It is about living up to the expectations were meant to. I once heard Jim Rohn say, “life is not about what you get, it’s about what you become.” Wise words. I was taught to set SMART goals and make metrics for things I want to achieve. I am learning that I don’t need to do this for everything. These tools are useful in the right context. However, when the accumulation or reduction becomes too restricted, I need to stop and ask if this is important at this time. . The race of life is not for us to win or lose. It really resonated with me when Erin reminded herself, “…keep slowing down, you’ve got a race to lose.” There are times when I feel like I don’t have enough time to do all the things that I want. When I am sitting there thinking about all these things, I am doing nothing. It is possible to be in the race, to enjoy it and not have to be the first. If I happen to be first, that’s okay. If I’m not first, that’s okay too. I must admit that I read this book slowly. It took me over a year to finish. Other things distracted me in between. I hope this book will encourage you too.